Are you considering Buying Property in Agra? If your answer is yes, then this is the best destination for. We provide complete professional assistance in Buying Property in Agra. The company has a large databank of Agra Properties. The databank includes Residential, Commercial, Industrial, as well as Agricultural Properties in Agra, Delhi, and NCR. The categorically-managed databank enables the Property Buyers to have an easy overview of the Agra Property Market to make a quick and confident decision. Our experienced Real Estate Buyers provide complete assistance to the clients in finding properties as per their exact requirements. We also offer assistance in Property Documentation. 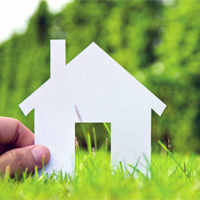 As the property owners are directly associated with us, the buyers do not have to worry about the credibility factor. We also offer assistance in price negotiation. We charge nominally for our Buying Property Services in Agra, Delhi, and NCR.